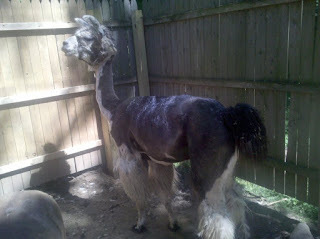 I've been trying to find someone to shear my llama since the temp got over 80 degrees. 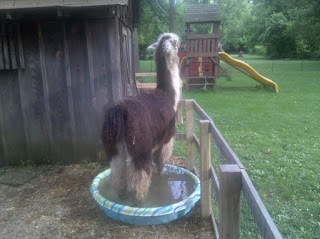 Poor Flippy has been sitting in kiddie pools, playing in the sprinkler, doing anything he can to beat the heat! After that his feet got clipped, he got his shots, and got worm junk squirted down his throat. As soon as we took the towel off his face and turned him loose he GLARED. Such a pissed off llama! 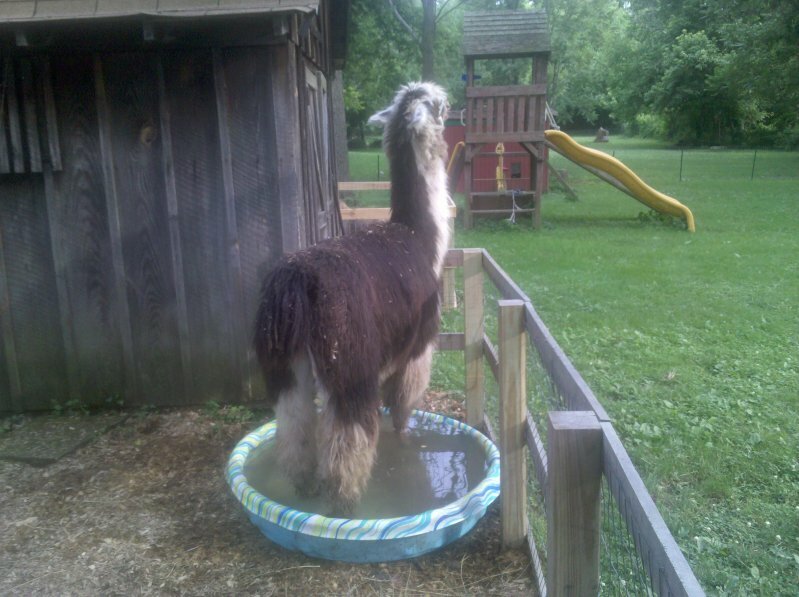 In his very dignified llama manner, he snorted dewormer all over us, stepped into his kiddie pool, and started licking his salt lick. An hour later he was over being angry, as he felt incredibly cool! He hopped and skipped around with the mini horses, got into the bag of treats, tore a small branch off a tree and took off running with it... back to normal for Flippy I would say! Cute! Now what are you going to do with that llama fur? Clean it, card it, and spin it!